The virtuoso ‘ud player Naseer Shamma will be giving a performance at the Barbican Hall, London on Wednesday 11 July 2018, performing in his Naseer Shamma Quartet – Spirits with Ashraf Sharif Khan and the tabla player Shabbaz Hussain, as well as the flamenco guitarist Carlos Piñana. All four musicians come from a long family tradition of musical excellence. Carlos Piñana was born in Cartagena in Spain. His father, Antonio Piñana, was also a flamenco guitarist. In 2013, to mark the centenary of his grandfather’s birth, the Plaza de Antonio Piñana Segado was named after his grandfather, a flamenco cantaor (singer). Carlos’s brother Pepe is a flamenco guitarist and his brother Curro Piñana is also a well-respected flamenco cantaor. 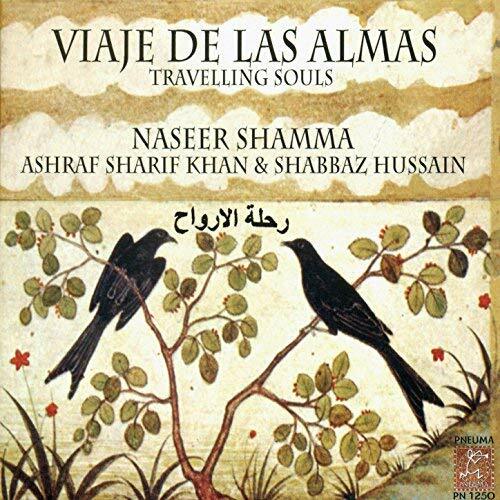 In 2011, Naseer Shamma released his recording Viaje de las Almas (Travelling Souls) with two world renowned musicians: the sitar player Ashraf Sharif Khan and the tabla player Shabbaz Hussain. The record was produced by Eduardo Paniagua in Madrid (PNEUMA PN-1250). Eduardo Paniagua, who established the Pneuma label, is an architect and musician; he is the brother of Gregorio Paniagua – and of Carlos and Luis Paniagua, all of whom have a long tradition of performing medieval Spanish music, of collaborating with Arabic musicians, and of performing the music of Al-Andalus. For his part, Naseer Shamma studied with all the best ‘ud masters of his native Baghdad and was recognised for his virtuosity from a young age, when critics referred to him as the ‘Young Ziryab’! 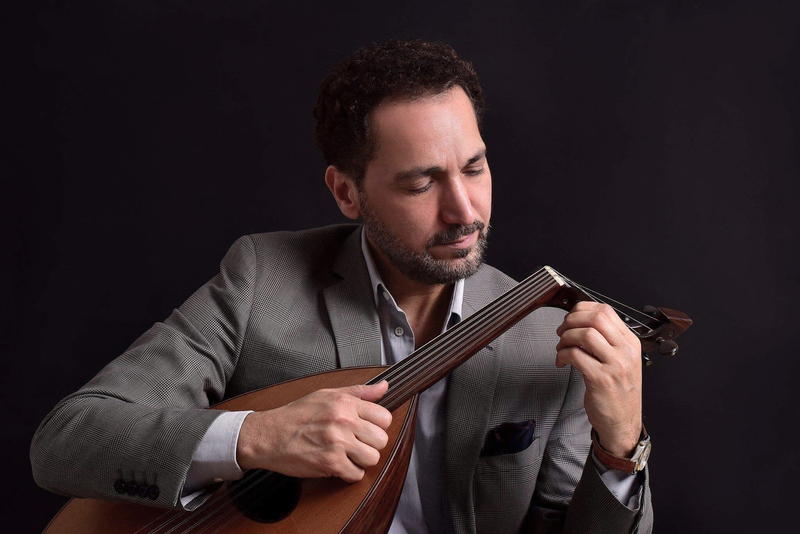 For tickets to Naseer Shamma’s Quartet: Spirits with Ashraf Sharif Khan, Shabbaz Hussain and Carlos Piñana at the Barbican Hall recital on Wednesday 11 July at 7.30pm, visit. Barbican Centre, Silk Street, London EC2Y 8DS.